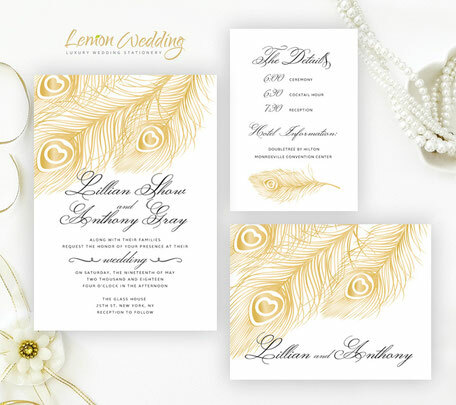 When it’s finally time to announce the date of your glamourous wedding, do so with our sparkling Gold Feather Wedding Invitations. 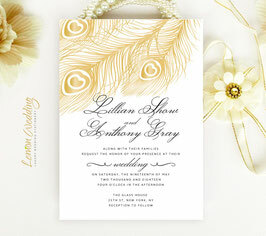 Our stunning gold wedding invites will elegantly tell guest the details surrounding your upcoming nuptials. 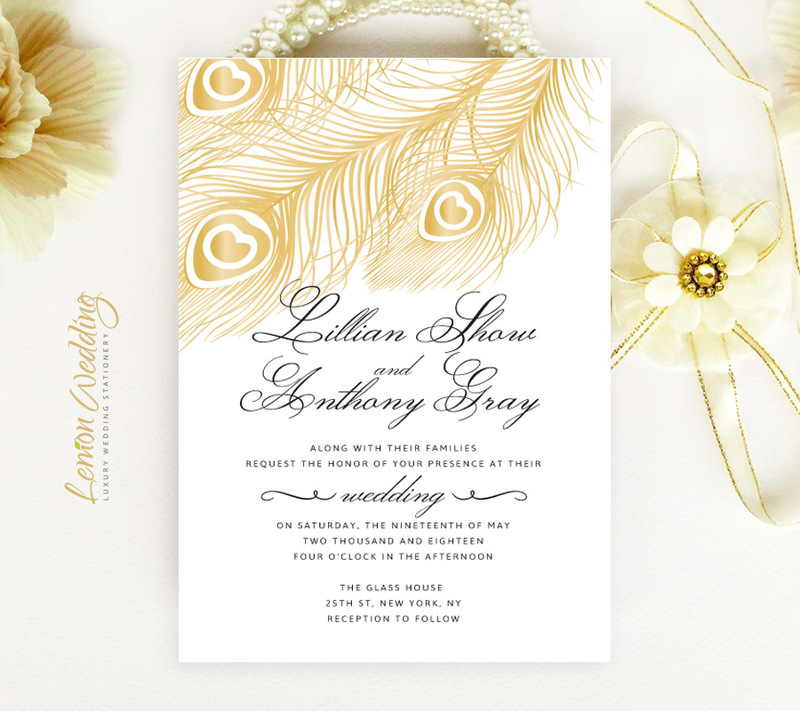 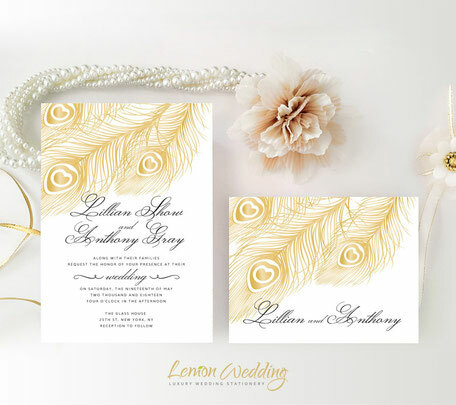 Printed on premium card stock , our invites are decorated with a golden feather and features a sophisticated font.